Grafenberg, June 10, 2015. At CWIEME 2015, Shanghai, from June 23 to 25, the international RAMPF Group will be showcasing its comprehensive range of engineering and chemical solu-tions for casting electrical and electronic components – Hall F1, Stand 1G36, National Exhibition & Convention Center. 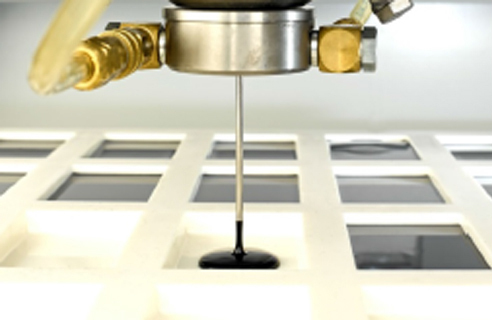 Material and machine from a single source – with its high-performance electro casting resins and high-tech low-pressure mixing and dispensing systems, RAMPF ensures the perfect casting of electrical and electronic components. RAMPF Polymer Solutions, based in Grafenberg, Germany, is a leading developer and manufacturer of reactive plastic systems based on polyurethane, epoxy, and silicon. The company offers a wide range of solutions, including electro casting resins. These provide reliable and effective protection against chemicals and environmental influences such as heat, cold, and moisture for sensitive electronic com-ponents in cars, high-precision measuring, monitoring and regulating sensors, and numerous other electrical components. The polyurethane-, epoxy-, and silicone-based products – RAKU-PUR, RAKU-POX, and RAKU-SIL – ensure efficient casting of electrical and electronic components and offer a broad range of mechanical, thermal, and chemical properties. The RTI product range – electro casting resins with high thermal resistance – from RAMPF Poly-mer Solutions will also be on show at CWIEME 2015. Thanks to their outstanding thermal resistance, the newly-developed RTI resins permanently retain their properties and functions, even in extreme con-ditions. Live demonstration at CWIEME Shanghai – the DC-CNC 800 dispensing system from RAMPF Production Systems. This is the ideal solution for anyone who needs a compact machine structure without wishing to compromise when it comes to con-trol technology. The DC-CNC 800 combines flexibility and dy-namics for the 2D or 3D application of casting, sealing, and adhesive systems. With more than 2,700 system solutions on the market, RAMPF Production Systems is one of the lead-ing manufacturers of low-pressure mixing and dispensing systems. The innovative systems for pro-cessing single, dual, and multi-component reactive resin systems also ensure that the electronics in-dustry benefits from maximum process reliability when it comes to applying highly-filled heat dissipa-tion materials to electronic assemblies. In addition to its core competence of mixing and dispensing technology, RAMPF Production Systems offers a broad range of automation and conveying systems for internal logistics, additional assembly and joining technology, as well as logistic and quality assurance solutions. Its customer-specific solu-tions also include integrating testing and measuring technology into production facilities to safeguard production processes. The international RAMPF Group has own production facilities on three continents. Combined with its global sales and partner network, this ensures that customers receive comprehensive support and prompt delivery wherever they are in the world. 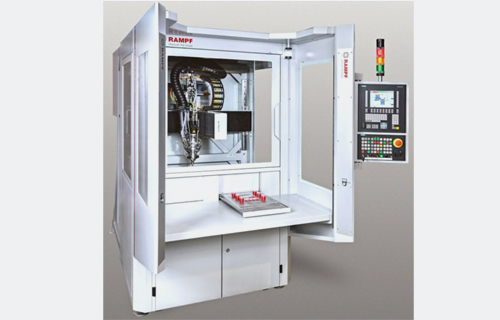 At CWIEME Shanghai, RAMPF will be represented by its Chinese subsidiary RAMPF (Taicang). RAMPF has been selling RAMPF Production Systems and RAMPF Polymer Solutions products in China since 2004. When the Chinese subsidiary RAMPF (Tai-cang) was founded in 2007, it began its own production of electro casting resins and foam gaskets us-ing RAMPF Polymer Solutions recipes.